Operating a motor vehicle requires constant attention. In addition to maintaining control of the vehicle, the driver must also be able to respond to outside conditions, whether from the environment or other drivers on the road. Therefore, the Vehicle Code requires every driver to be alert and focused at all times. Unfortunately, some drivers make the mistake of operating a vehicle while under the influence of alcohol or a controlled substance. The law views this impaired ability to maintain control of one’s vehicle and to respond to outside conditions as a serious matter, and Pennsylvania makes it a crime to operate a vehicle in such a state. 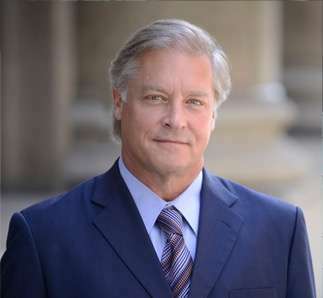 Therefore, in order to have the best chance of avoiding the penalties established by the DUI statute, it is crucial to retain the services of an experienced DUI defense attorney. Making it even more crucial is the fact that the Pennsylvania Legislature is considering increasing the penalties for repeat DUI offenders. A discussion of the current status of Pennsylvania DUI laws affecting adults, as well as the potential increases in penalties, will follow below. No prior DUI or 1st within 10 years: an ungraded misdemeanor having a maximum penalty of 6 months of probation and a fine of $300. Special conditions of sentencing include completion of a Court Reporting Network (CRN) evaluation and Alcohol Highway Safety School (AHSS) classes as mandated by statute. No suspension of driving privilege. 1st DUI: an ungraded misdemeanor having a maximum penalty of 6 months of incarceration, a fine of $5,000, or both, with applicable mandatory minimum sentencing of 5 consecutive days of incarceration and a $300.00 fine. Special conditions of sentencing include completion of a both a CRN evaluation and AHHS classes. PennDOT mandates suspension of driving privilege of at least 12 months, as well as installation of an ignition interlock device for a period of 1 year from restoration of driving privilege. 2nd or subsequent DUI: a second degree misdemeanor having a maximum penalty of 2 years of incarceration, a fine of $5,000.00, or both, with applicable mandatory minimum sentencing of 10 consecutive days of incarceration and a fine of $500.00. Special conditions of sentencing include completion of both a CRN evaluation and AHHS classes. PennDOT mandates suspension of driving privilege of at least 12 months, as well as installation of an ignition interlock device for a period of 1 year from restoration of driving privilege. 1st DUI: an ungraded misdemeanor having a maximum penalty of 6 months of incarceration and a fine of $5,000, with applicable mandatory minimum sentencing of 48 consecutive hours of incarceration and a fine of $500.00. Special conditions of sentencing include completion of both a CRN evaluation and AHHS classes. PennDOT mandates suspension of driving privilege of at least 12 months, and installation of an ignition interlock device for a period of 1 year from restoration of driving privilege. 2nd DUI: an ungraded misdemeanor having a maximum penalty of 6 months of incarceration, a fine of $5,000.00, or both, with applicable minimum sentencing of 30 consecutive days of incarceration and a fine of $750.00. Special conditions of sentencing include completion of both a CRN evaluation and AHHS classes. PennDOT mandates suspension of driving privilege of at least 12 months, as well as installation of an ignition interlock device for a period of 1 year from restoration of driving privilege. 3rd DUI: a first degree misdemeanor having a maximum penalty of 5 years of imprisonment in a state corrections institution (SCI), a fine of $10,000.00 or both, with applicable mandatory minimum sentencing of 90 consecutive days of incarceration and a fine of $1,500.00. PennDOT mandates suspension of driving privilege of at least 12 months, as well as installation of an ignition interlock device for a period of 1 year from restoration of driving privilege. 4th DUI: a first degree misdemeanor having a maximum penalty of 5 years of imprisonment in a SCI, a fine of $10,000.00, or both, with applicable mandatory minimum sentencing of 1 year of imprisonment in a SCI and a fine of $1,500.00. PennDOT mandates suspension of driving privilege of at least 18 months, as well as installation of an ignition interlock device for a period of 1 year from restoration of driving privilege. 1st DUI: an ungraded misdemeanor having a maximum penalty of 6 months of incarceration, a fine of $5,000.00, or both, with applicable mandatory minimum sentencing of 3 consecutive days of incarceration and a fine of $1,000.00. Special conditions of sentencing include completion of a CRN evaluation, completion of a special drug and alcohol assessment, compliance with treatment/counseling recommendations (including inpatient care at a residential drug/alcohol treatment facility), and completion of AHSS classes. PennDOT mandates suspension of driving privilege of at least 12 months, as well as installation of an ignition interlock device for a period of 1 year from restoration of driving privilege. 2nd DUI: a first degree misdemeanor having a maximum penalty of 5 years of imprisonment in a SCI, a fine of $10,000.00, or both, with applicable mandatory minimum sentencing of 90 consecutive days of incarceration and a fine of $1,500.00. Special conditions of sentencing include completion of a CRN evaluation, completion of a special drug and alcohol assessment, compliance with treatment/counseling recommendations (including inpatient care at a residential drug/alcohol treatment facility), and completion of AHSS classes. PennDOT mandates suspension of driving privilege of at least 18 months, as well as installation of an ignition interlock device for a period of 1 year from restoration of driving privilege. 3rd or subsequent DUI: a first degree misdemeanor having a maximum penalty of 5 years of imprisonment in a SCI, a fine of $10,000.00, or both, with applicable mandatory minimum sentencing of 1 year of imprisonment in a SCI and a fine of $2,500.00. Special conditions of sentencing include completion of a SRN evaluation, completion of a special drug and alcohol assessment, compliance with any treatment/counseling recommendations of the evaluation and assessment (including inpatient care at a residential drug/alcohol treatment facility), and completion of AHHS classes. PennDOT mandates suspension of driving privilege of at least 18 months, as well as installation of an ignition interlock device for a period of 1 year from restoration of driving privilege. It is important to note that Pennsylvania has a 10-year “look back” period when calculating whether a current DUI is to be considered a 1st, 2nd or subsequent (e.g., a 2018 DUI will be considered a 1st, if the prior DUI was resolved in 2007 or earlier). Furthermore, when a driver refuses to submit to chemical testing or breath or blood in violation of the Implied Consent Law (i.e., there is no BAC or scientific evidence of intoxication), the driver can be convicted of DUI for having consumed a sufficient amount of alcohol or controlled substances to render him/her of being incapable of safe driving. Finally, Pennsylvania has a zero-tolerance law for minors, meaning any amount of alcohol in their blood can lead to a DUI charge. If a driver has 3 prior DUI offenses in the High and Highest BAC levels, the penalty would increase to a third-degree felony. 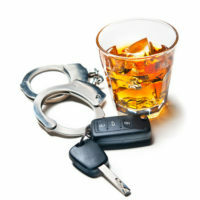 If a driver has 4+ prior DUI offenses at any level, the penalty would be a third-degree felony. If a driver commits 4+ DUIs within 10-years and causes the death of another, he/she can be charged with third-degree murder. If a DUI results in a homicide, the driver can receive a 3-5 year prison sentence if he/she has 1-2 prior DUIs, and 3-7 years if more than 2 DUIs. Finally, if one is charged with aggravated vehicular assault while driving impaired and if the driver is not properly licensed or his/her license is under suspension, the sentences are increased. Being charged with DUI is a very serious offense that requires the services of an experienced criminal defense attorney. The attorneys at the Law Offices of Gary E. Gerson have more than 25 years representing clients in criminal matters, and will work to obtain the most optimum result in your situation. Contact our Pittsburgh office today.